This is one of our best selling items out of our entire line. 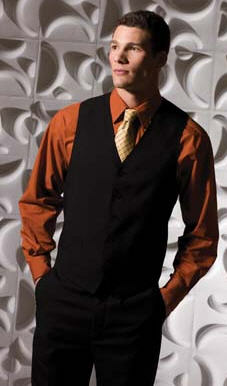 This classic styled vest has the same fabric on the front and back, which most venues prefer. Men's vests are available in Talls in most colors, which has been quite popular. 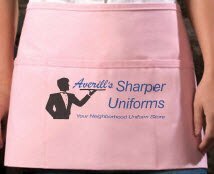 Looking for an economical yet stylish uniform vest for your front of house staff? Then the Mens Classic Value Vest is the perfect fit. Made from 100% polyester and designed to be light yet durable, this classic uniform vest will give your staff the polished look you’ve been looking for. Same fabric is on the front and back of vest. 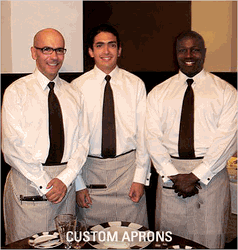 This uniform vest comes in eight unique colors, each designed to complement the mood or image of your restaurant or hotel. The Mens Classic Deep Red vest comes with brass antique buttons. Other colors come with matching color plastic buttons. 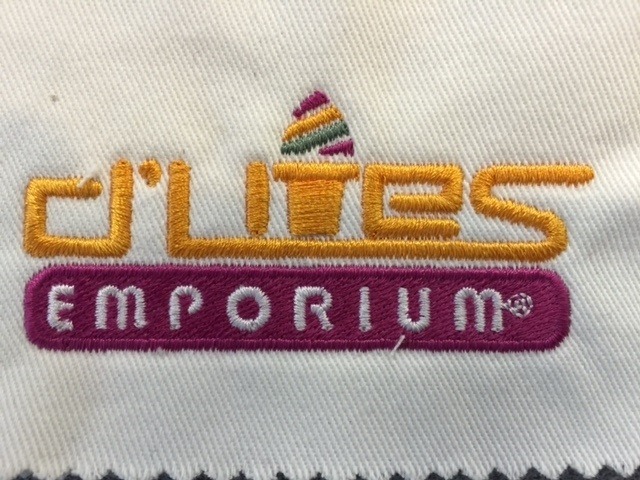 Each vest has five buttons and is fully lined with four inside pockets and two outside welt pockets. Machine washable and incredibly versatile for a variety of staff members. **Black vest now available one inch longer in all sizes to keep untucked shirts covered. Perfect for pairing with a variety of uniform trousers. This vest was as advertised. It fit a little tighter than expected, but worked fine. ProsLooks professional, love the pockets (4 inside, two outside). ConsFit slightly tighter than expected, but it worked fine. This vest is good quality, and a true fit. The shipping was extremely fast. Vest fits nice and bow ties are a great too. You can' beat the price either. Spoke with customer sevice about the order, and they are lovely too. Would order from you again. Although I was ordering for a friend, I was extremly pleased w/coustomer service and product. Since I wear tall sizes myself, I will certainly come back! (hard to find tall vests) I told a co-worker who happens to be huge, he needed a TALL vest (his tux shirt was showing 3 " between pants and vesr-not good.) He said "ok order it for me"-typical guy! Purchased vest for uniform required as Station Master/Ticket Agent at Railtown 1897 State Park. Have high hopes that the vest will be comfortable and well wearing. 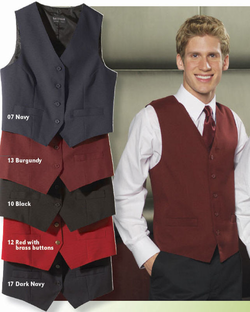 Nice all around vest, we typically purchase black vests, but recently bought some burgundy one, just right for banquets. 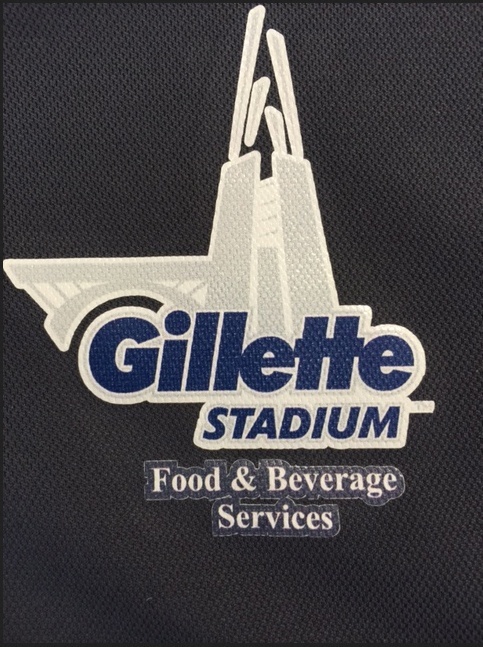 There is back orders for the female vest. If I were ordering the woman's vest, I would order extra large. What would be equivalent size if I were to order the male's vest instead of waiting for the back orders...medium or large? This is for the men's classic economy vest red with the brass buttons. what is the length of the vest? how long is the tall?